Is your friend great at poker? Does he need a good luck charm to protect his cards? Give him a personalized bobblehead to use at the poker table. 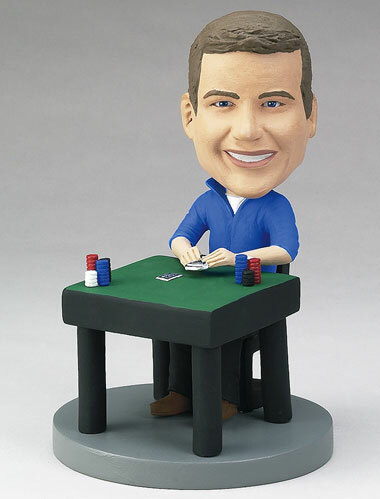 This custom bobblehead could be his lucky charm; you can add or remove details from the table or the doll to personalize it further with more chips or accessories.